ChainFORM - Long ver. from Tangible Media Group on Vimeo. Inspired by everyday linear material such as tape, string and wire, we created a linear modular integrated hardware platform, named ChainFORM. 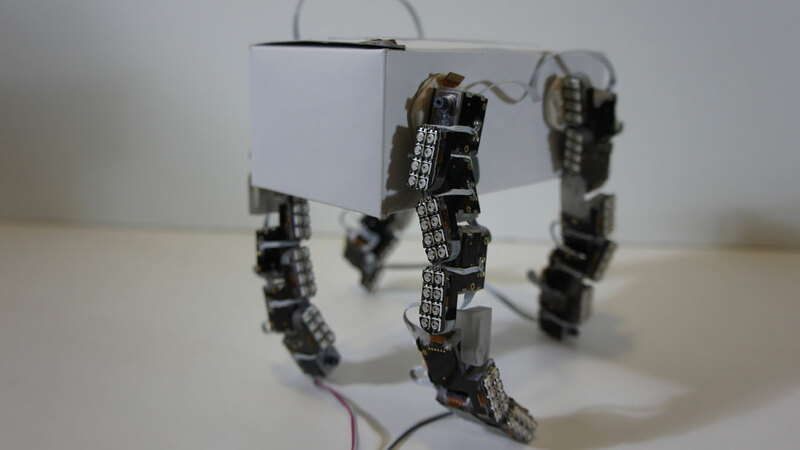 Our idea is to bring interactive / actuation capability in the form of daily material that can be easily customized and crafted by a range of users. 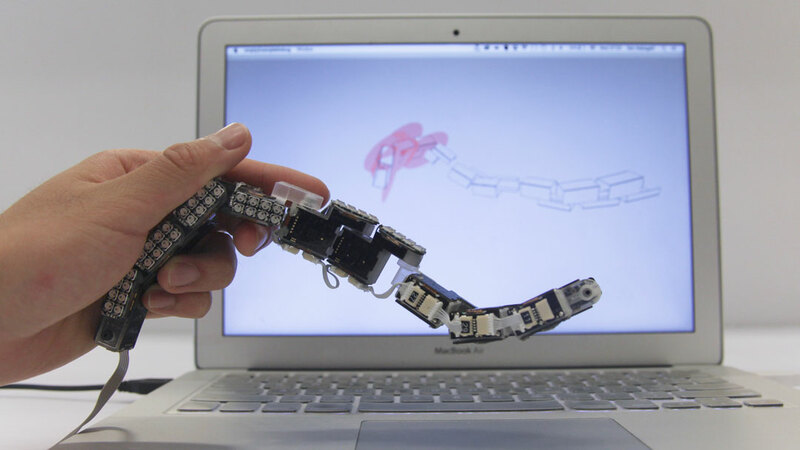 We built the system based on modular snake robotics, and present interaction design space and wide use cases. 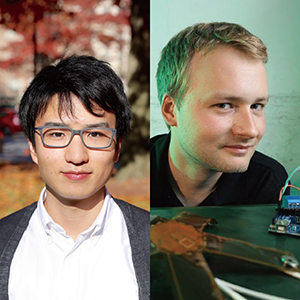 We envision a future where the dynamic nature of computation is being woven into our everyday life through the form of physical material. ChainFORM is one instance (proof of concept prototype) towards this vision. We believe such kinds of materials will be available in arts and craft stores as a roll of material in the near future. 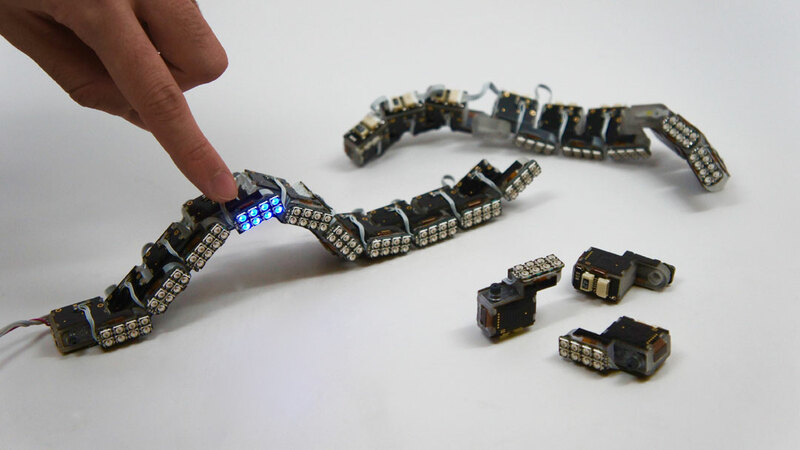 The individual module of ChainFORM is composed of a small servomotor, custom flexible circuit board (fabricated in Shenzhen factory) and 3D printed brackets. The circuit board is the key to give rich I/O functionalities and communication capability to the servomotor. 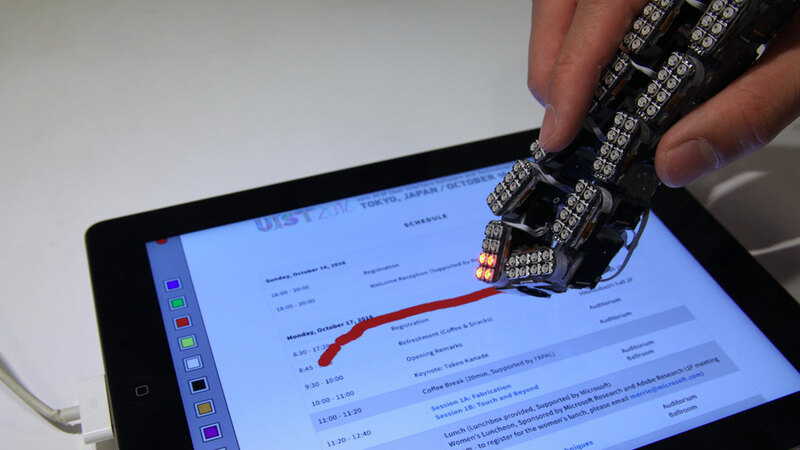 The chained modules are controlled through custom software on a computer through a master microcontroller. 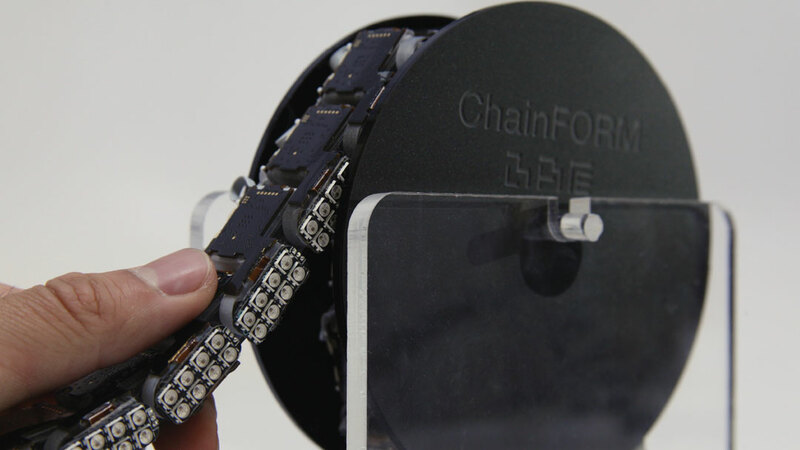 As various kinds of interfaces such as displays or styluses, ChainFORM can be customized and transform according to user needs and digital applications. Also, as craft material, it can be rearranged and attached to daily objects and bodies, adding motion, lights and interaction. Wide range of users such as artists and children can physicalize their imagination through hands-on haptic experience. A new motion/interaction tool whose many applications were demonstrated by a video presentation of exceptionally high quality. Its ability to be used for the construction and trialling of first principle prototypes is impressive while its modularity and intuitive use facilitates the sense of play that lies at the heart of innovation.